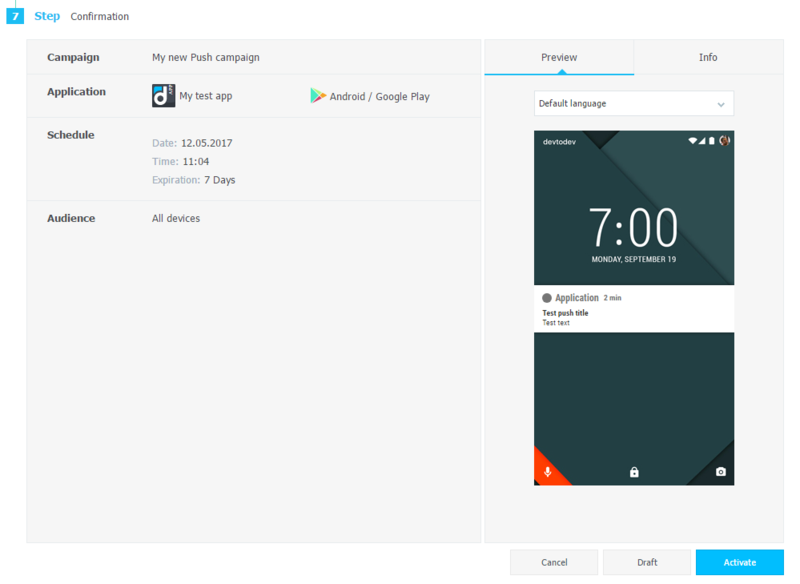 Push notifications on Android are sent with the help of the FCM service. To work with it, two keys are required: a client and server key. If you have a project, move on to the second part of this article. 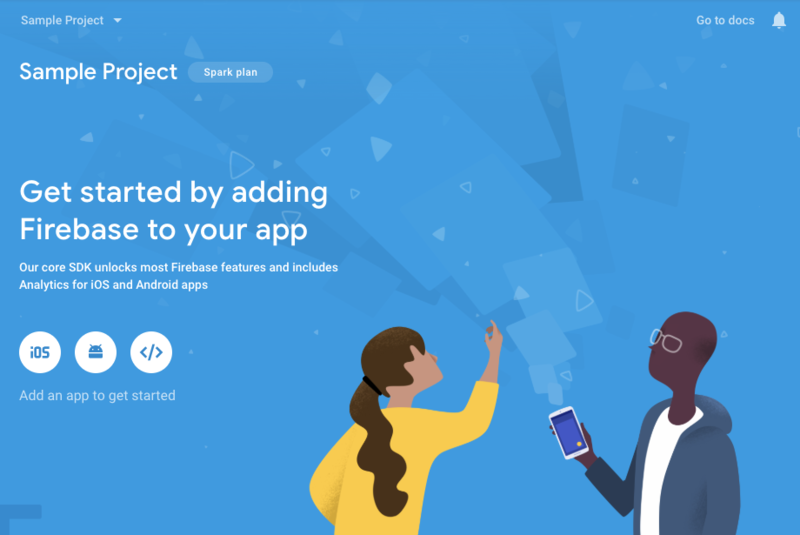 Add a new project to the Firebase console. Fill in the name and country of your project. Congratulations, the project has been created! 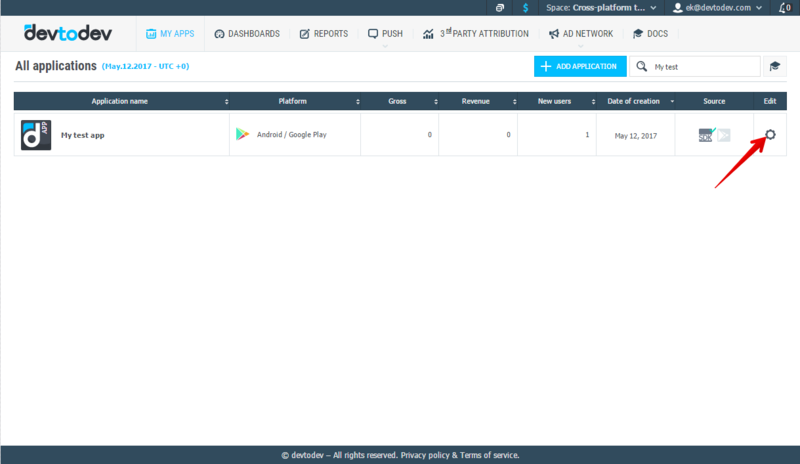 Now you need to indicate the package name of your Android app. 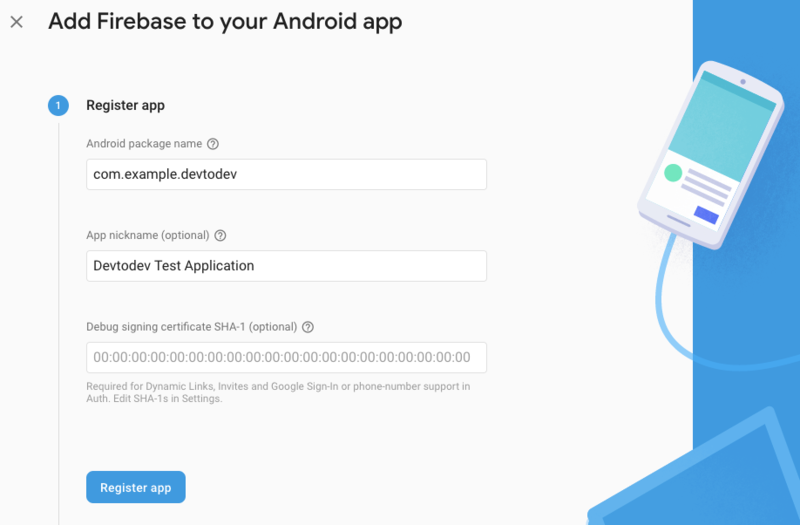 After a successful registration in Firebase, you can receive your keys that you will use in devtodev. Go to the settings of your Android project. Remember or copy Server key and Sender ID from the Cloud Messaging tab. 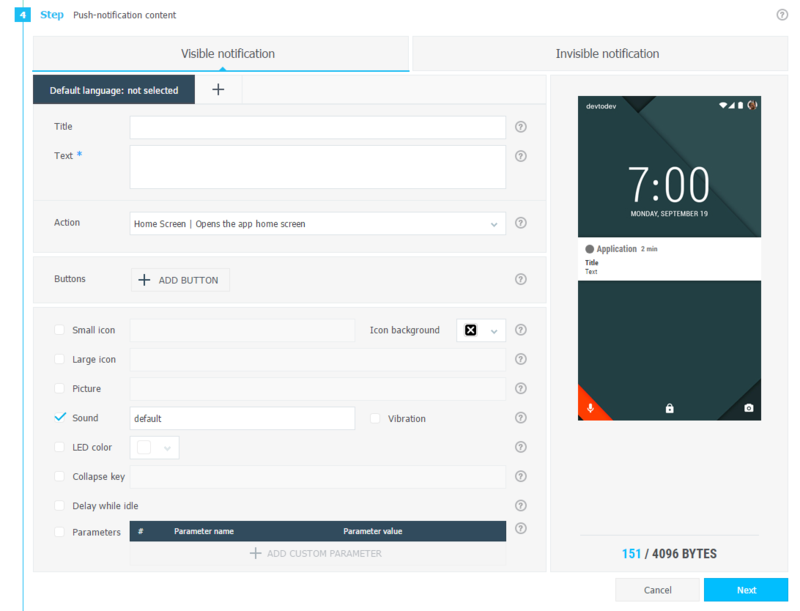 You will need them to integrate push notifications and create push campaigns. Download the generated by google-service.json file and add it to the project. 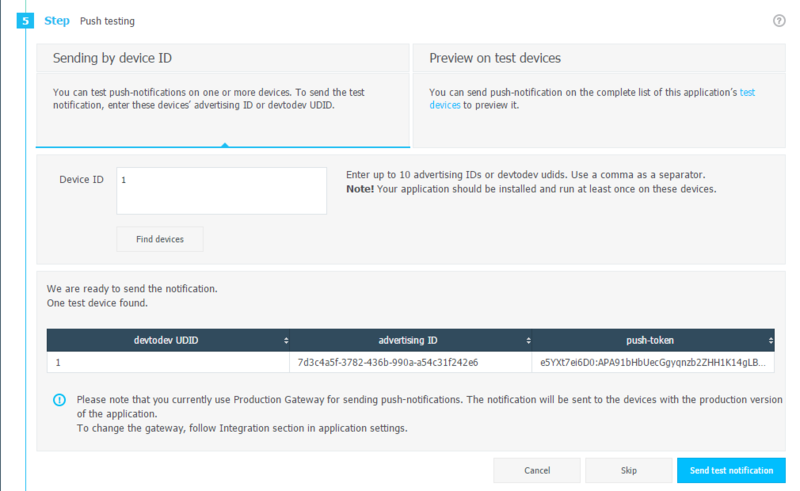 In Activity (where the SDK initializes) add the push-notifications initialization and the listener of push-notifications processing. Use resources of your app. For example, R.drawable.ic_launcherIcons which set in the push-notification wizard have priority over the icons which set in these methods. 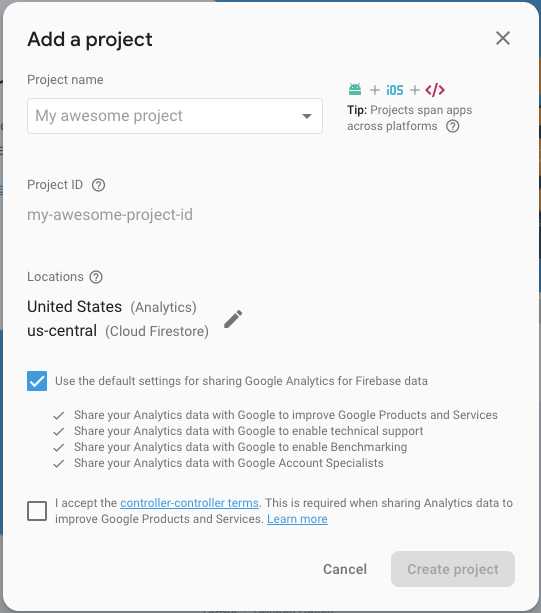 Go to Firebase console and then to your project settings. 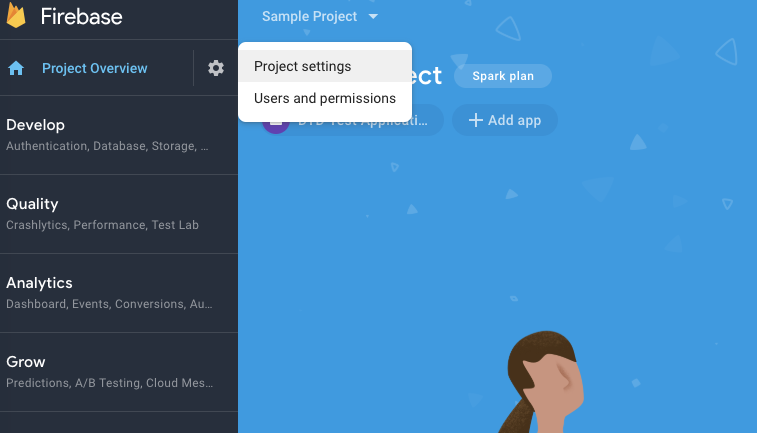 On the Cloud messaging tab get the Firebase Cloud Messaging token of your project. Proceed to Settings of your app in devtodev. 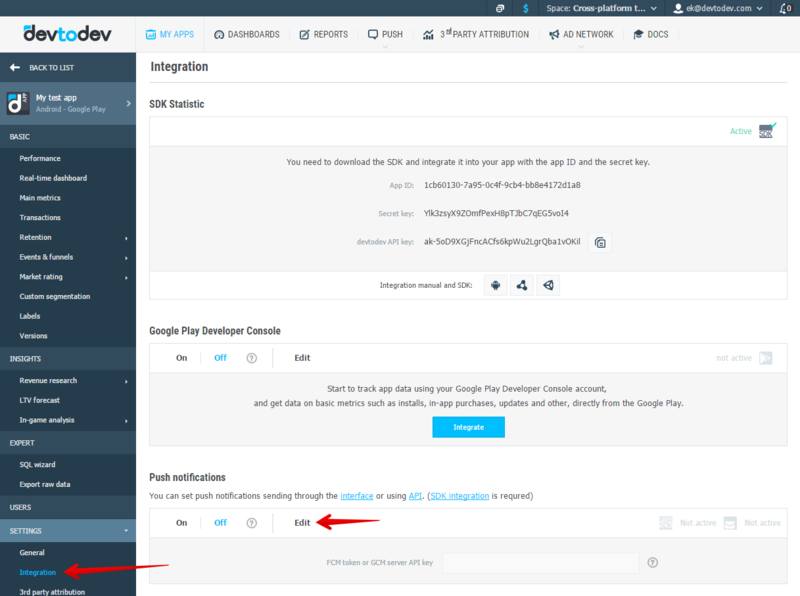 Go to Integration page and insert the previously received Firebase Cloud Messaging token to the FCM token field in Push notifications section.